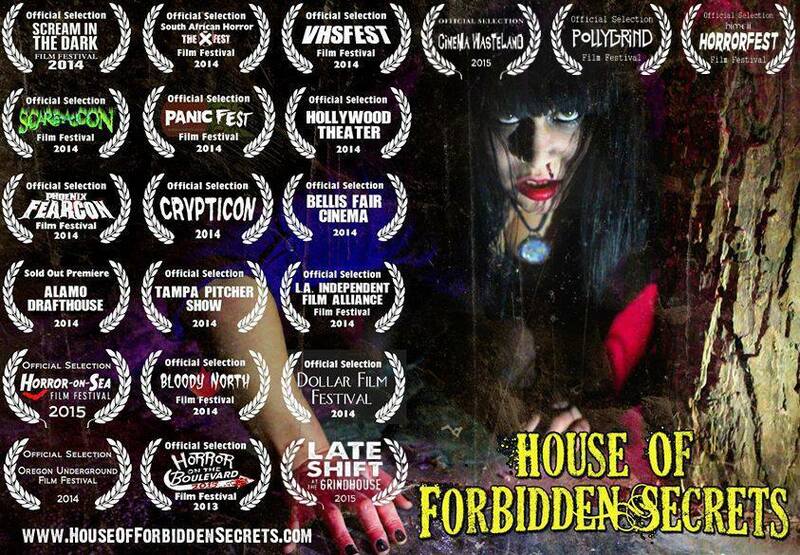 We are finished with the incredible theatrical tour for director Todd Sheets' "House Of Forbidden Secrets" - winner of 6 awards at the PollyGrind Film Fest in Las Vegas, NV. Also sold out the Alamo Drafthouse for the KC premiere, had a triumphant run at the Tampa Pitcher Show in Tampa, Florida and the film played in England at Horror on Sea and also played at Cinema Wasteland and Spooky Empire!!! 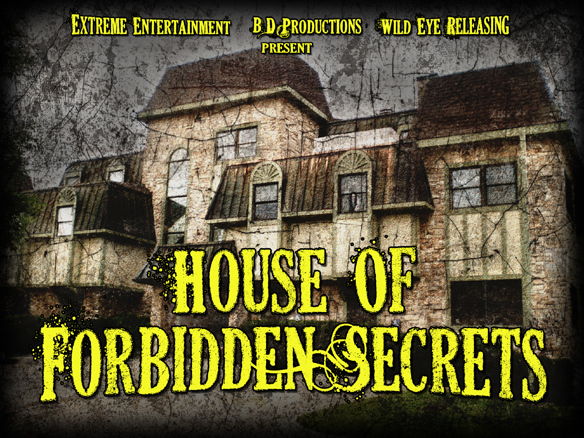 House of Forbidden Secrets has played in over 60 film festivals, 40 special theater screenings worldwide and even now more screenings are being booked - please visit the official Facebook page, LIKE the film, and get up to the minute news first at - www.facebook.com/houseofforbiddensecrets - Click on the pic above to be taken to the official website as well. Or simply go to www.HouseOfForbiddenSecrets.com. The official teaser for House of Forbidden Secrets! Be sure to spread the word! Extreme Entertainment was also involved in the incredible anotholgy "Hi-8" for Nightfall Pictures. Director Todd Sheets was asked to be part of the film by producers Brad Sykes and Tim Ritter - only 8 genre directors were chosen in the USA and it is an amazing honor for us! The film has been doing theatrical screenings across the US and getting rave reviews!!! 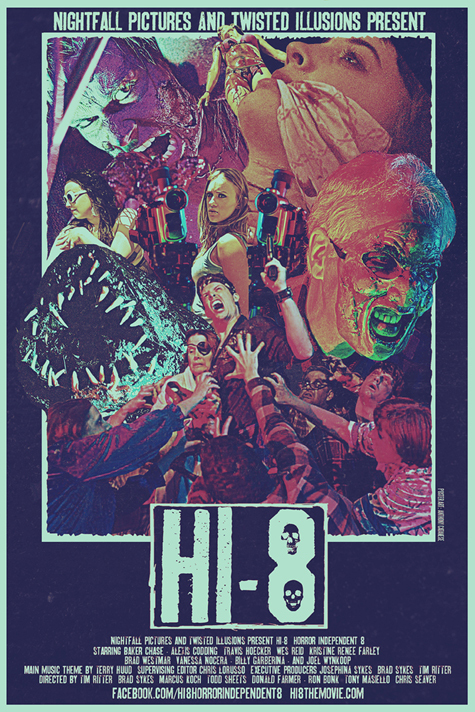 Check out http://www.hi8themovie.com/ for more info and updates!!! "SLEEPLESS NIGHTS" is the new anthology film being produced by Extreme Entertainment. Each member of the Extreme Team has done a segment as well as Tony Masiello and Brad Twigg, two great indie directors who are really making a name for themselves in the Horror circles. Keep checking back for more info as the release gets closer from WILD EYE RELEASING. Had a very exciting opportunity for us all here at Extreme Entertainment! In connection with Jen and Sylvia Soska and the Women In Horror month, to help the American Red Cross on their Blood Drive, we contributed a short film called "Absolute Sacrifice." You can ALSO check it out at this link: ABSOLUTE SACRIFICE - Thanks to Hannah, Jill Sixx and everyone involved!!! And yes, that is the return of Mike Gordon, The Face from CATACOMBS, as our Vampire! The film also stars Jillian Roscoe in her Extreme film debut!!! Great news!!!! Several of Todd's older films have been rescued! When Englewood Entertainment no longer held the rights to the older films, instead of giving the masters back to Todd, they ERASED them, resulting in many films being lost. These were the original masters and no duplicated were made on many of the films. Todd has spent the last 3 years editing and painstakingly remastering the old film library and it is finally done. Fear of The Dark is the last one being remastered. This includes the return of the lost Todd Sheets gore classic "The Shivers." The original masters were lost, so a new master was created from scratch, matching old footage and sound from a workprint. The end result is stunning!!! 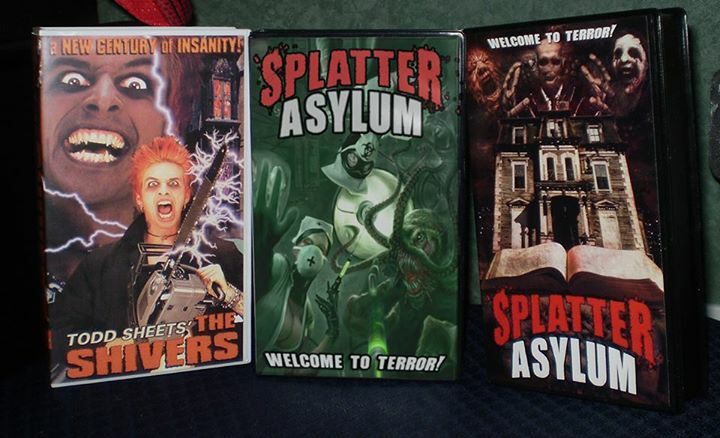 It is being released under the original title, Splatter Asylum, but a small amount of original VHS tapes were found in a box in storage, so a few originals will be released along with a VERY limited special edition DVD in two covers, with all proceeds going to benefit the family of Rico Love. The remainder of the library will be rereleased through Wild Eye Pictures... including the much sought after ZOmbie Rampage 2: Return of the Hungry Dead - never finished until recently. To order the special editions, send an e-mail to Horror25@aol.com. "SPIRITS: Blood Castle" recently wrapped principal production with just a few pick up scenes to film. This one is a shocker. A sequel to the found footage surprise hit from 2014, the sequel really goes for the throat with more twists and surprises.... and the return of everyone's favorite one man cult psycho, Edwin Parker... the disturbed soul. Post production begins soon. Devastating news. Our brother, actor and stuntman Rico Love has passed away. August 6th, 2014 - The world lost an amazing man today - an actor, a stuntman, a great father and husband and an amazing friend. Anyone who knew Rico can tell you he had so much dedication, passion and energy - he worked so hard on the films he did with us. He gave us all so much joy and hours and hours of entertainment. Rico did pass away in body today - but his spirit lives on in our hearts and in the films. And our love for him will never die. Rico had developed a disease that deteriorated his muscles, much like lymphoma. 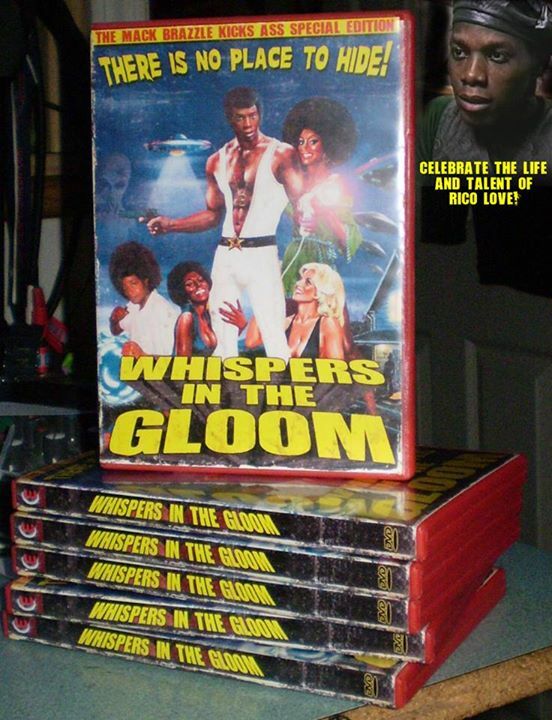 We were able to spend some good time with Rico before he passed, talkinga bout the films and we also were able to record a commentary for WHISPERS IN THE GLOOM that is included on the special edition DVD that wwe JUST released. It is a very limited release with a special cover of Rico, in an homage to the Greydon Clark classic "Black Shampoo." All proceeds from the limited DVDs will go to benefit Rico's family. Order one by writing Horror25@aol.com. 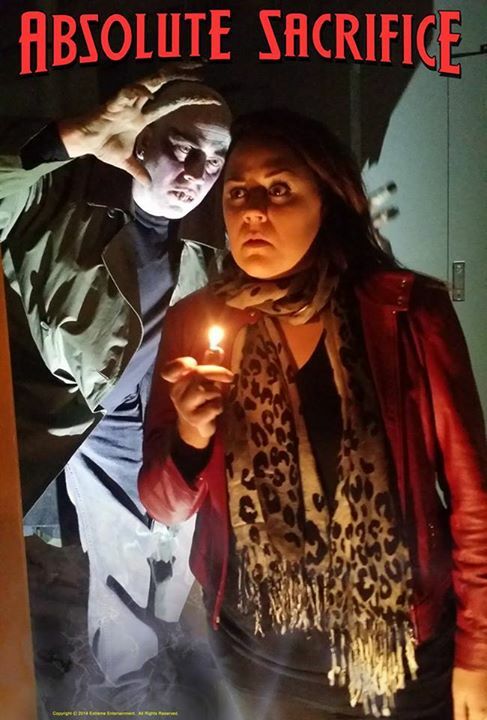 "SPIRITS" had an amazing theatrical premiere at the Screenland Theater in North Kansas City, MO. A good time was had by all. There was a very limted signed VHS release done for the premiere ( a few are left if you write us you can get one). 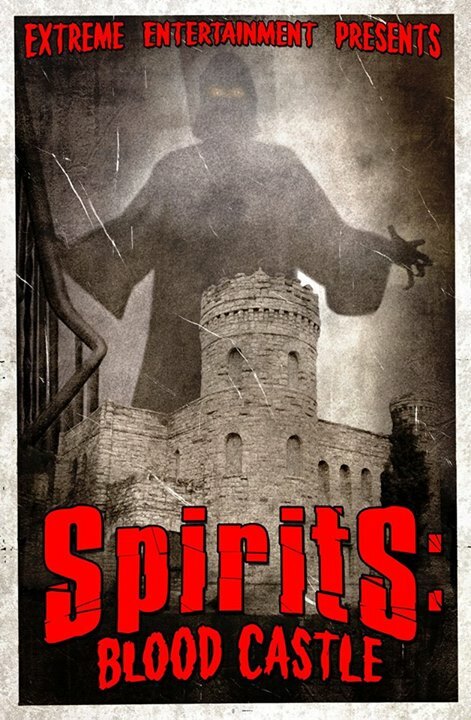 Please go and LIKE the Facebook page at https://www.facebook.com/SpiritsTheFilm for updates, news, events and release information - including theatrical screenings and film fest bookings. Interest in the Paranormal is at an all time high.... Is it a harmless fascination? An innocent hobby? Is it safe to peer deep into the darkness? Or is the darkness beginning to look back? Is there a true, substantial evil waiting for those brave enough to seek it? Four teens are about to uncover the truth about these dark forces. When Raven begins working at Shadowview Manor as an intern for a Law Office, she hears stories of the building being "Haunted." People hear voices, doors close by themselves, even children have been seen that seem to disappear. It doesn't help that the building was once the location of a horrible massacre, leaving many innocent people dead. Being huge fans of the Paranormal shows on TV, Raven and her friends decide to investigate the building one night when no one is there. What they encounter is real. Evil Does Exist. And now you can experience every moment of the terror in a film that's just as real, just as authentic , just as shocking... as actually being there. SPIRITS is a film that will crawl under your skin and stay there long after the credits roll. The film will expose you to true fear, shocking horror and unbelievable suspense. It is not for the faint of heart. Do not watch it alone. Production of the Short Film "The Crawler" is finished. 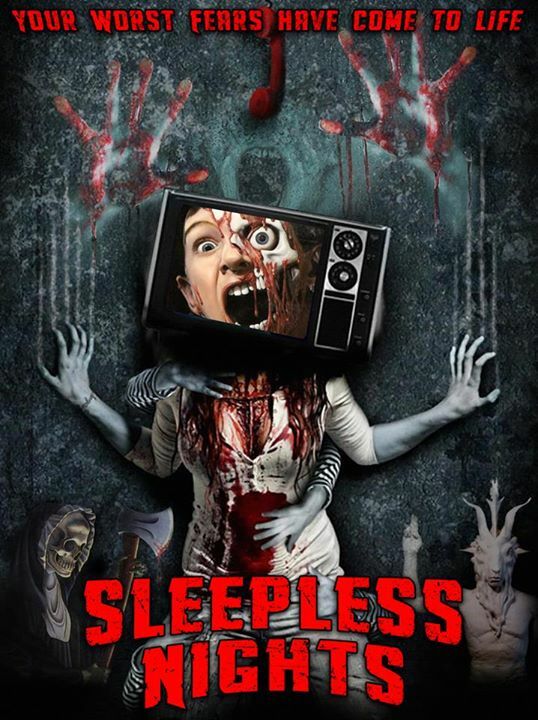 The film, directed by Amanda Payton, will be included in the upcoming anthology, "Sleepless Nights" that is currently being planned for late 2014 release. Produced by Todd Sheets, who also did the cinematography and editing. Pre-Production is now underway on a new feature length original film from Extreme Entertainment - to be directed by Todd Sheets. Another incredibly top secret film is also being prepared, a sequel to a huge cult classic... details as soon as possible. And NOW - the Zombie Bloodbath Trilogy DVD / BRURAY 25th ANNIVERSARY EDITION is being prepared - I am very very excited about this!!! Still coming from Extreme Entertainment is the REMAKE of GOBLIN and ZOMBIEBLOODBATH. The films are in the scripting stages now and look to be ready to start shooting soon. It is being written by Matt Hill and will be directed by Todd Sheets. "The whole project came about in what can best be described as one of those situations where fate is certainly involved." Explained director Todd Sheets. "I was remastering all the Zombie Bloodbath films for DVD and I had wanted each one to be a two disc set. Each film has so many extras. Footage from the set, interviews and, most importantly, footage from the theatrical screenings - including the world premiere. 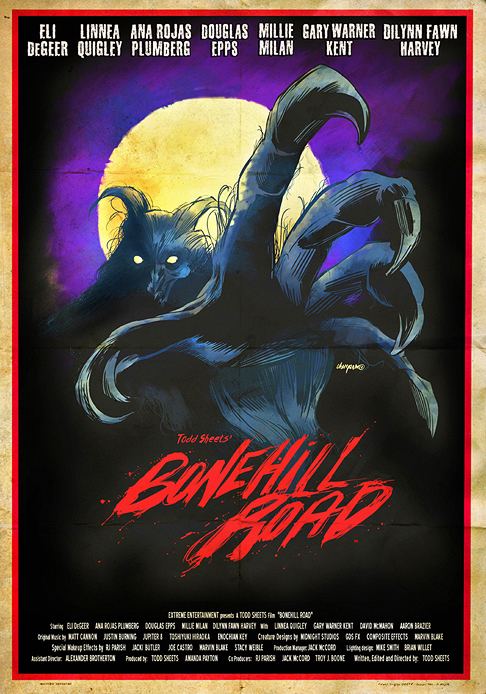 These screenings were pretty much always sold out, and upon seeing the almost 700 seat theater sold out for not one, but BOTH world premieres we did, the distributors contacted me with questions about a remake." The film will be darker and serious in tone, with a budget bigger than the original three films combined. "I'm am NOT a fan of remakes at all." Sheets continued. 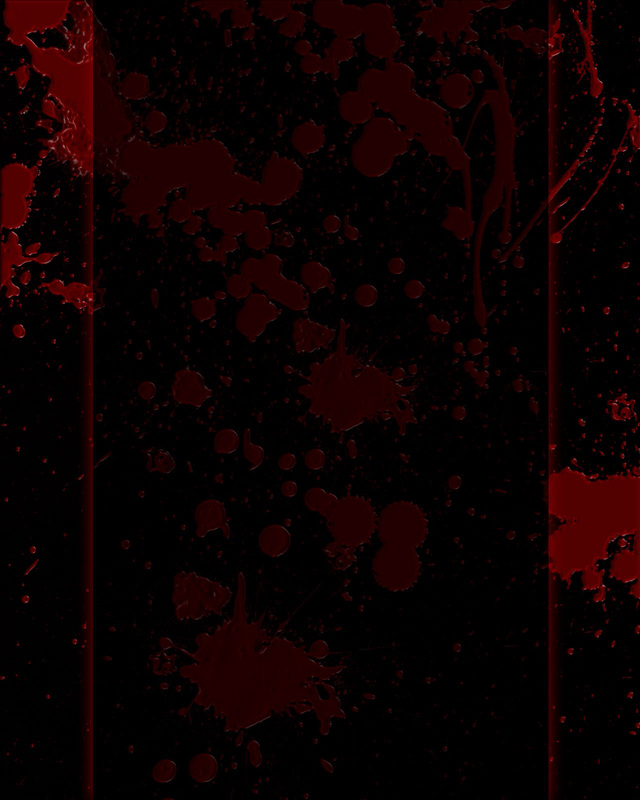 "But the fact is that I have a soft spot for Zombie Bloodbath. As crude as it was, it was my first film. Re-editing and remastering the original, and knowing what we can do now as a company, made me stop and think about this idea. I can finally do the title justice. Though there are things in the original that I truly love and admire... there are even more things that I kind of shake my head at. It was my first attempt at trying to make a real movie. In some ways I succeeded, but in many ways I failed. I mean we made that film with the huge 93 Flood pouring every day - we had zombies who would go down and sandbag at the Missouri river after filming all day, as did much of the crew. I had hundreds of zombies and no money really for the make up. It just went on and on. Things like Actors who didn't show up and basically I saw much of my vision being compromised. I just felt this was a way to REALLY show my love of the genre and do this title justice. Make it the film I always knew it could be." So gone are the intentional elements of campy humor and the "cheese factor" of the original. "I know from the reviews I get and the e-mails I receive that the first one has a pretty solid fan base. They like the movie for many of the reasons that people like Toxic Avenger. It's a fun 'Party' movie. The remake will have a new story and a new look and the tone will be serious Horror and Gore." Sheets said. "I am sure anyone who likes the others will love it, but so will people who hate the others for the fact that they aren't serious enough." The story is all new and not connected in any way to the other 3 movies. "The fact is that none of the Zombie Bloodbath" films are connected. They are sequels in name and subject only. I always wanted a series of films, like maybe a video version of a comic book series," Sheets explained. "So the fact that this is an all new story really won't matter much. The story is dark and gritty and in your face. I am pretty sure some of the things we are doing have never been done in a zombie film. It took a while to actually find some new ideas, but I think we've done it." The script is hidden in a veil of secrets. "The thing is, I don't want to spoil the film. And in some ways, since the script is just being written, things will evolve and change as we go. Matt is a huge fan of the original series and plans on doing it full justice and beyond"
The music will be supplied in part by the amazing Toshi Hiraoka, composer of haunting scores for several Asian Horror films. Submissions from other composers are being taken as well. Interested musicians should contact Todd Sheets at horror25@aol.com. Finally, if you are an actor or actress in the Kansas City, St. Louis, Dallas, TX and WestCoast areas where most of the filming will be done or if you are an effects artist or just want to be a part of the crew... contact Todd Sheets at horror25@aol.com. Closer to actual production, there will be a form on the main page for people to sign up to be extras in the films so stand by for that. We ALWAYS need extras and new blood, so if you want to try acting or being an extra and you want to have some fun, be sure to check back and sign up. Pass the word along to everyone you know.